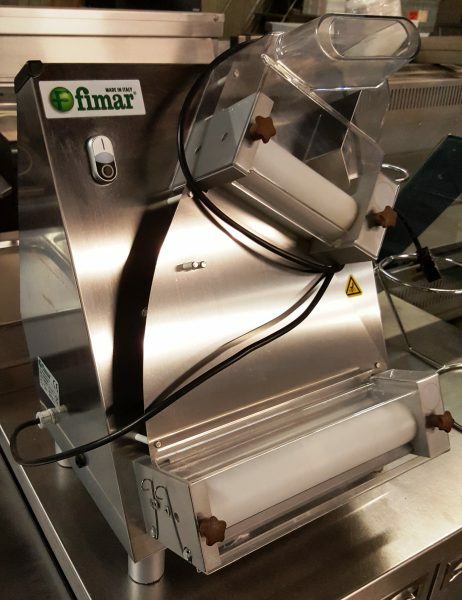 Home	>	Preparation Equipment	>	FIMAR 12 inch Pizza Dough Roller – Ex Demonstrator! This is a 2013 display machine at our Nottingham warehouse but has never been used commercially and is been sold B grade ex demo. It can roll and present 12 inch pizzas ready for topping. Smart, compact and a significant saving against new price of £834.00 + VAT. 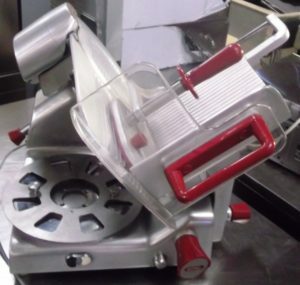 Made out of stainless steel, the machine features high-density polypropylene rollers that are built for long-term use. These durable rollers come with Perspex guards and are continually cleaned by spring-loaded scrapers. Capable of producing bases up to 12″ in width, this is one of Fimar’s most popular dough rollers. 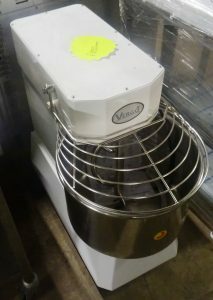 As well as being used to create pizza bases, these machines can also be used to create other dough-based products such as naan bread and chapattis.